From 2016, we start afresh as Bieger & Kato Bagpipes. This coincides with us moving our workshop to a new premises, leaving the Phrix Künstlergemeinschaft in Hattersheim-Okriftel. We are now based in the former barn of a 200 year old farm house in Hofheim-Diedenbergen. Our goal remains the same though, that is to produce quality bagpipes. Clemens Bieger is a tree surgeon by profession. However, instrument making has always been a passion for him. In 1999; he went to work part-time for a hurdy-gurdy maker, Kurt Reichmann who gave him initial instruction on instrument making. Clemens spent about two years there, and around that time, he discovered various instruments such as crumhorns and bagpipes. Fascinated by its sound, aesthetics, and the challenge of different crafts – leather, metal, wood work, wood turning and reed making, all coming together to create one instrument, he decided to specialise in bagpipes. Clemens did a number of internship and visits to bagpipe makers in Germany and Scotland, to gain further knowledge and skills of bagpipe making. In 2002 he founded Bieger-Pipes. 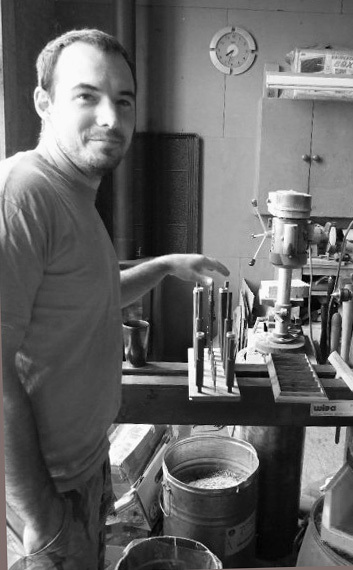 Steve’o’klad, a friend of Clemens, worked at Bieger-pipes between 2004 – 2008 and helped develop the production, especially the medieval range of bagpipes. He currently plays with a medieval band Fabula: In the past, he had been a guest player for Cultus Ferox and Cornix Maledictum. Masaki Kato joined the force in early 2009. He comes from Japan, via Scotland where he spent over 4 years studying on the then RSAMD piping degree course in Glasgow and working at the National Piping Centre. 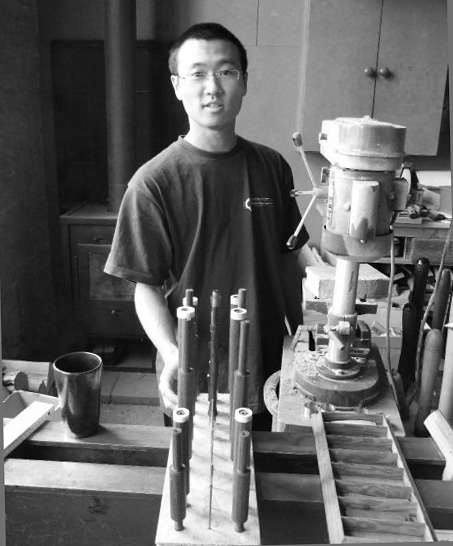 While in Scotland, he received various workshops covering many aspects of pipe making. He visited a couple of bagpipe makers as well, and grew his interest in the manufacturing side of bagpiping. He first started making cane drone reeds while he lived in Glasgow, with the generous help from Rory Glossart and Sylvain Hamon. After moving to Germany, he was fortunate to work along with Clemens and devoted himself to creating the bagpipes of highest standard. He also started making Uilleann pipe chanter reed (out of necessity). Andreas Rogge kindly helped him get started. His reeds have a good reputation for the stability and its vibrant tone.